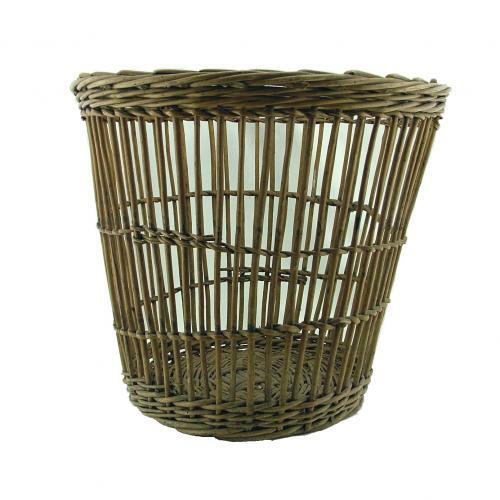 Woven wicker waste paper basket. Approximately 39cm diameter at the top rim and 30cm at the base x 35cm tall. Has indistinct markings to the base but is indentical in pattern to our own Air Ministry coded example. See the photograph below of one in use in a fighter dispersal hut. A bit grubby but in good overall condition. Stock code M21365.